Check off every item on your holiday shopping list at these local art and craft fairs. By Abigail Freeman·	 11/16/2017, 8:30 a.m.
Is there a place more fitting to grab tasty gifts for the holidays than the Boston Public Market? The year-round marketplace for locally-sourced groceries will be welcoming 30 pop-up artisans for the holiday season, including Egg-A-Go-Go, a Jamaica Plain artist, and Top Shelf Cookies. 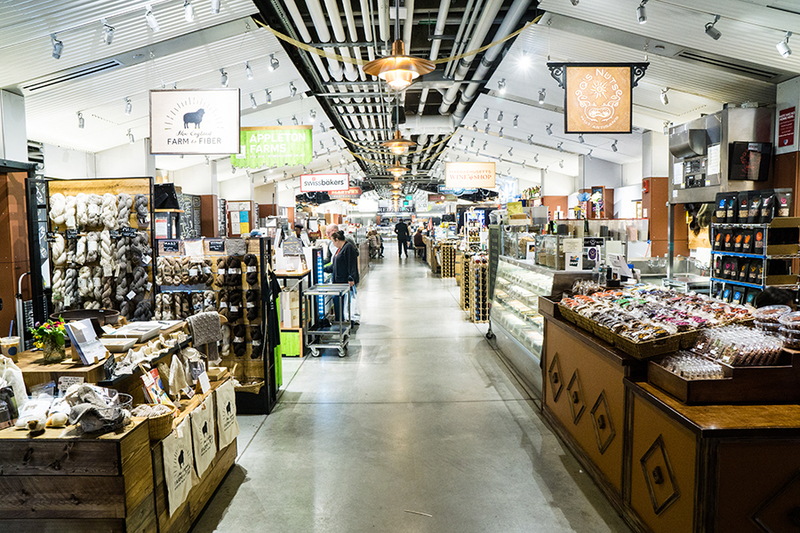 “With items like roll-out gardens, veggie-inspired jewelry, and farm-direct skincare products on top of the high-quality agricultural goods our permanent vendors offer every day, the Boston Public Market truly is your neighborhood one-stop shop for holiday groceries and gifts,” Cheryl Cronin, Boston Public Market CEO, said in a press release. November 18 through December 17, Saturdays and Sundays, varying hours, Boston Public Market, 100 Hanover St., Boston, bostonpublicmarket.org. Jewelry, pottery, prints, greeting cards, jams, and more will be available for purchase at this annual event that supports local artists. 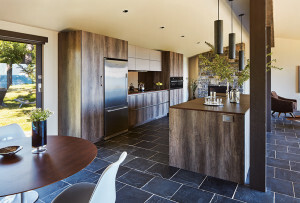 This year’s vendors include Frank Criscione of American Handcraft, a company that makes custom furniture and decor, and Alicia Monks of Englishman Bay Trading Co, a company that sells hand-woven clothing and homegoods. There will also be exclusive trunk shows from household product companies such as the Showroom, Studio M, and Afri-Root Collective. November 18, 12-5 p.m. and November 19, 12-3 p.m., Brookline Arts Center, 86 Monmouth St., Brookline, brooklineartscenter.com. This market has all of the holiday essentials: festive music, gift shopping, and a tree lighting. Browse stands offering hand-crafted clothing, winter pantry vegetables, and more as the market leads you to the Annual Peabody Square Holiday Tree Lighting. The Dorchester Historical Society and local photographers Kayla Clare and Thomas Reale are among the vendors who will be selling their work. Not to mention, you can jam to live holiday music performed by Jon Ong and the Funky Monkies. November 25, 3-7 p.m., Peabody Square, 1900 Dorchester Ave., Boston, facebook.com. Over 40 vendors will be selling a range of products including fragrances, leather goods, housewares and specialty food items at this marketplace presented by Somerville Local First, an organization that aims to build a sustainable local economy in Somerville. Vendors include Abby Rose Pottery, Deano’s Pasta, Shepherd’s Run Jewelry, and Originally Young. You can even buy treats for your favorite furry friends from Camberville Dog Treats! November 26, 11 a.m.-5 p.m., Arts at the Armory, 191 Highland Ave., Somerville, facebook.com. Blown glass, beeswax candles, knits, fine art, and more will be sold by 30 New England artists at the Christmas Craft Fair. Be a part of Old South Church’s annual tradition, the Cookie Walk, by donating homemade cookies to be presented and sold at the fair. Also enjoy live music from carolers, a brass band, and a special concert performance at noon. Take in all of the holiday cheer in one of Boston’s historic landmarks. December 2, 10 a.m.-4 p.m., Gordon Chapel, 645 Boylston St., Boston, oldsouth.org. Shop ’til you drop at the JP Crafts Fair, which includes over 50 local artists and crafters offering items ranging from ceramics and photography to jewelry and textiles. Vendors include peacefulworlddesigns, Harary Glass Studio, LindaSpangArt, and Little Bear. 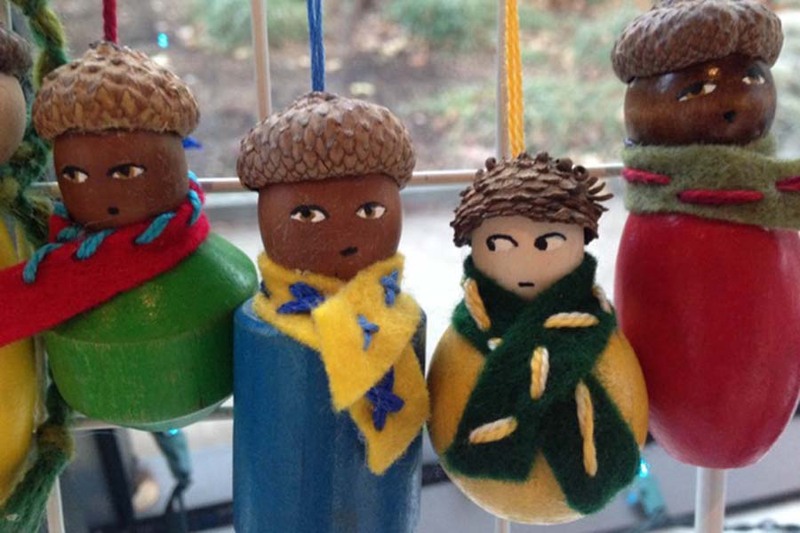 December 2, 11 a.m.-5 p.m., First Church in Jamaica Plain, 6 Eliot St., Jamaica Plain, jpsbestcraftfair.com. SoWa is no stranger to hosting local artists and vendors. In honor of the holiday season, SoWa Power Station is holding “the largest winter shopping village in Boston.” Over 100 makers and specialty food vendors from New England will be selling handmade gifts and treats. The festival will continue on Thayer St. in a heated tent with performances from Night Tree, Songful Artists, Alissa Musto, and Sound Off. Don’t forget to visit the food trucks and check out live ice sculpting. December 2, 11 a.m.-7 p.m. and December 3, 11 a.m.-5 p.m., SoWa Boston, 530 Harrison Ave., Boston, sowaboston.com. Support those who have dedicated their higher education to art by attending this annual holiday sale at MassArt. All of the artwork sold in the lobby of the MassArt campus Tower Building was made by MassArt students and alumni. You can count on seeing handmade original items such as jewelry, paintings, glass, ceramics, and more. December 3 through 9, 10 a.m.-7 p.m., Tower Building at MassArt, 621 Huntington Ave., Boston, massart.edu. Somerville Flea is leaving its typical spot in the heart of Davis Square for a holiday residency at the Somerville Armory. Don’t miss your chance to shop two floors of artisan and vintage goods before it’s too late. For those looking to unwind as they shop, beer and wine will be sold at the event. Also be sure to check out live DJ performances and fresh café food. December 3, 10, and 17, 10 a.m.-5 p.m., Arts at the Armory, 191 Highland Ave., Somerville, thesomervilleflea.com. Is there a better combo than art and booze? 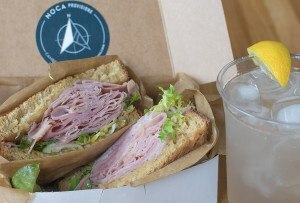 Row 34 is bringing back its annual pop-up shop, where guests can have bites and beverages as they peruse jewelry, fine art, and clothing items made by Fort Point artists. Take the stress out of your holiday shopping, and expect to see a wide spectrum of gift ideas ranging from ocean-inspired paintings by Lisa Knox to suncatchers by Dawna Davis. December 3, 10, and 17, 4-6 p.m., Row 34’s Cooler Room, 383 Congress St., Fort Point, facebook.com/row34. 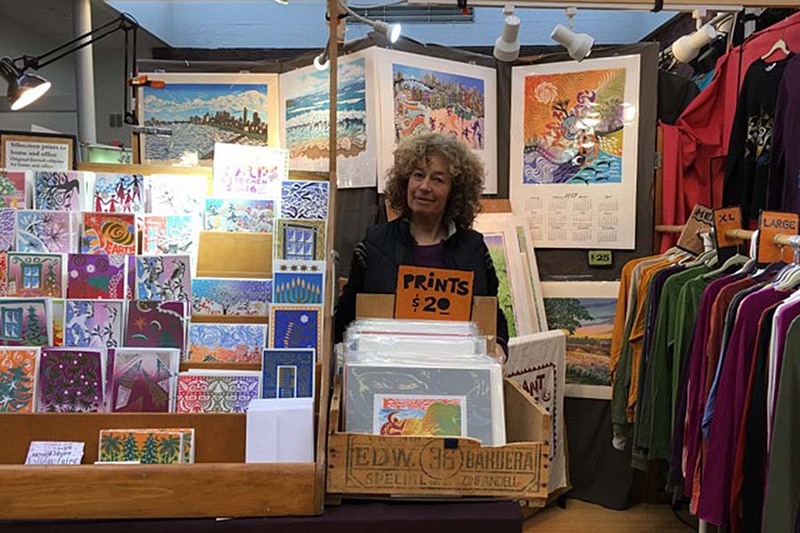 As one of the oldest holiday fairs in Boston, the Harvard Square Holiday Fair provides a mix of artists and vendors who make their art in New England or have found inspiration from other cultures while traveling the world. If you’re tired of buying predictable holidays gifts from your local mall, this fair is where you can find original items and make a connection with the artists who made them. Local vendors include Migrant Winds from Jamaica Plain and Jamie Guggina from Florence, Mass. December 9-10, 15-17, and 20-23, varying hours, Trinity Property, 50 Church St., Cambridge, harvardsquareholidayfair.com. Celebrate Swedish Yuletide at this market hosted by the Swedish Women’s Educational Association, a non-profit organization for Swedish speaking women who live abroad. Enjoy authentic food from Swedish cafés, live music, and of course, shopping for crafts and gifts. According to the SWEA, the Yuletide Market is the largest Scandinavian event in New England, and it allows SWEA Boston to donate to other Swedish and Scandinavian organizations and provide annual scholarships to American women who hope to study in Sweden. December 9, 10 a.m.-4 p.m., Cyclorama/Boston Center for the Arts, 539 Tremont St., Boston, sweaboston.org. Craft artists from around the country will gather in the Hynes Convention Center to sell their handmade work and interact with guests to provide insight on their crafts. Visitors can explore vendors’ booths to find goods made with centuries-old skills and techniques from ceramics, wood, fiber, and more. Buy unique gifts that you’ll have trouble finding anywhere else, and learn how they were made! December 14 through 17, varying hours, Hynes Convention Center, 900 Boylston St., Boston, societyofcrafts.org.